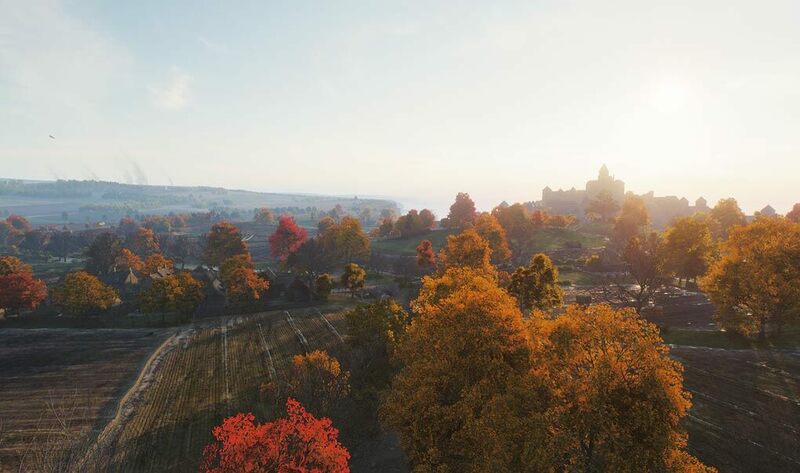 We’re excited to walk you through the improvements that took this long to implement and explain how each new technology redefines the game’s looks. However, as we’re still at the testing phase, let’s start by outlining its agenda and the areas we’ll be focusing on. We decided to deploy maps to the Sandbox first, as it allows us the most flexibility in terms of hot fixes and other adjustments. 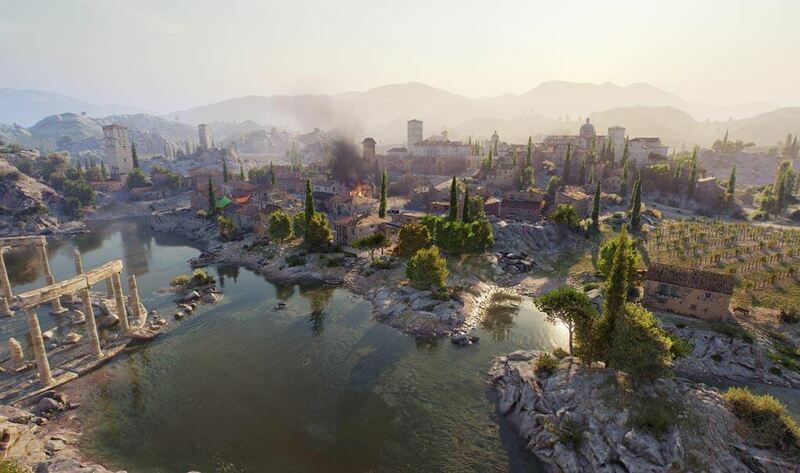 As we test the HD maps together, our priorities are polishing overall gameplay and performance optimization. 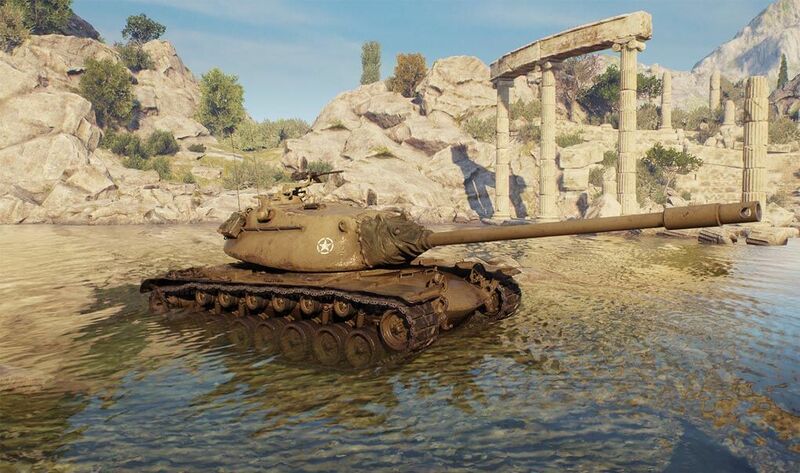 The main intention is to ensure visual improvements have an overall positive impact on the experience and don’t damage gameplay. 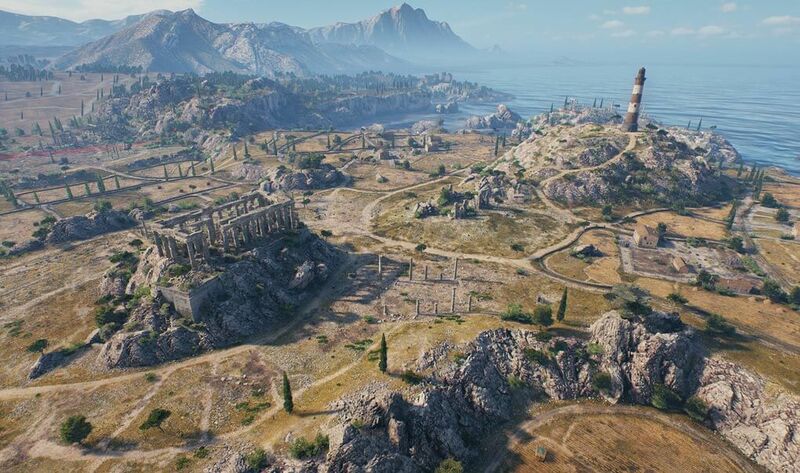 Plus, we want to check how new maps run on your gaming stations, test a variety of presets, and ensure their release has no adverse effect on framerate and game stability. When exploring reworked maps, you’ll find new objects here and there, and notice that some familiar areas got a solid makeover. Each map now tells a story of its own and doesn’t feel lifeless and abandoned. The mountain on the Mines was replaced with the ruins of a medieval castle. You’ll see a turned over tanker spilling oil on Al Halluf. 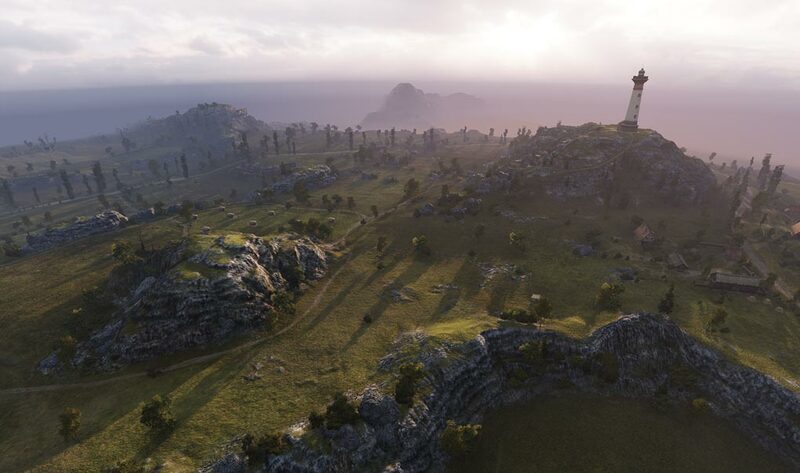 There’s an ancient Greek temple overlooking the Cliff, and a giant artillery piece on the Steppes. 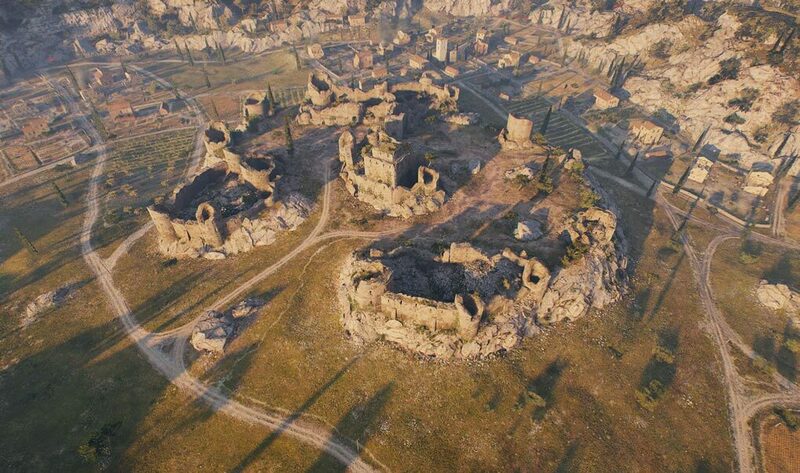 We injected maps with extra detail to give each battlefield a unique, distinguished flare and provide even deeper immersion. If you find yourself driving through the village on Westfield, for example, you’ll notice how much livelier it looks now, thanks to smaller, newly-added objects. They create a feeling that the battle you’re fighting is part of a much larger conflict with its traces seen everywhere. We kept gameplay-defining elements where they are for the first 12 maps. Routes along with main gameplay themes and overall focus remain the same. If you look at the improved Malinovka, for example, the wide open field, hill, and houses are right where they were. 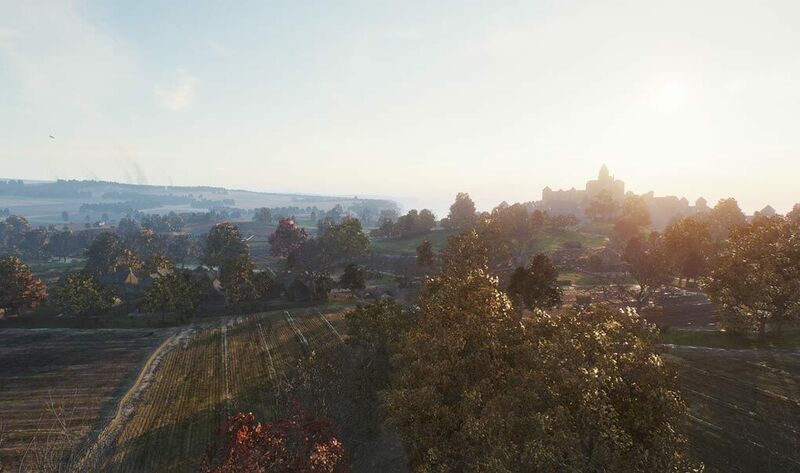 Although the sheer number of new graphical content makes it appear unfamiliar and a little overwhelming, go ahead and do what you always do on Malinovka. 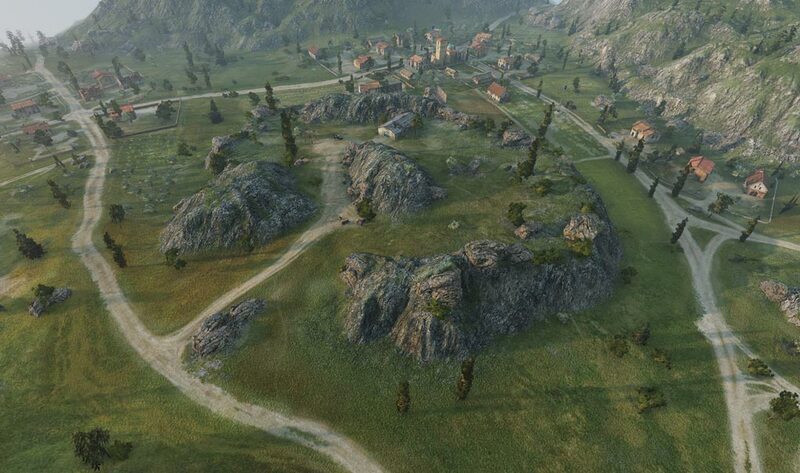 Rush to the hill, use a house for cover, and scout the field in the first seconds of the battle. These time-proven tactics will work just fine. 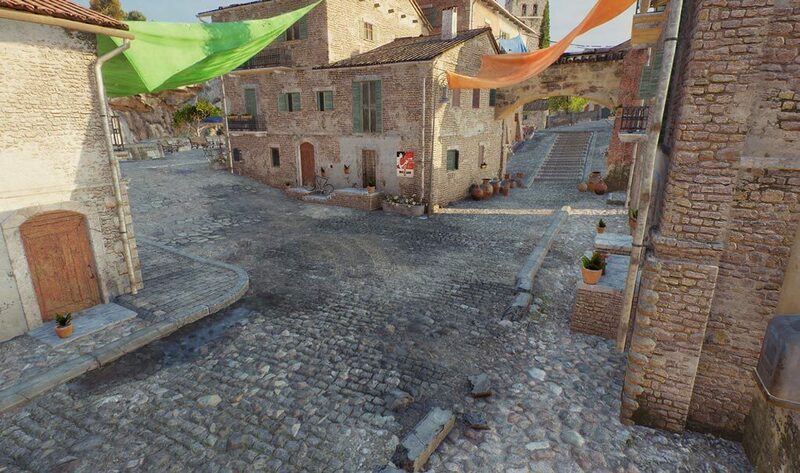 NOTE: Further down the road, other maps might undergo a more solid makeover with sensible changes to gameplay. The graphics overhaul gives us a chance to fix long-standing gameplay issues you reported to us over the years, and that’s exactly what we’re going to do. 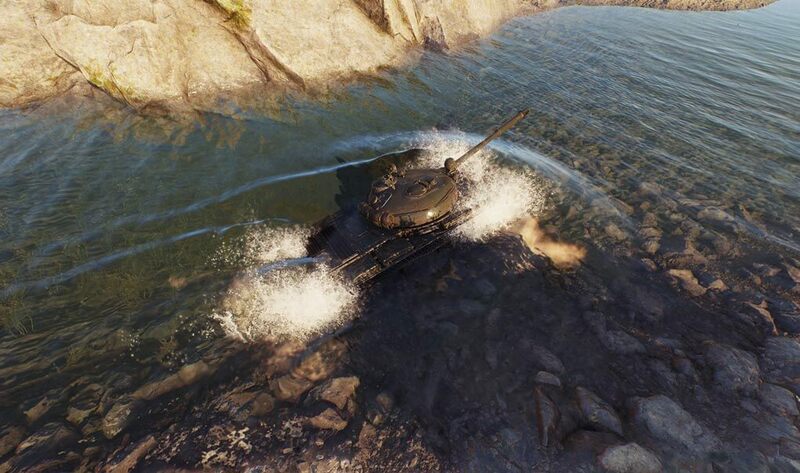 You’ll also notice that your tank causes ripples and waves rolling through a river and its tracks crush the grass, leaving traces. Worry not; these effects won’t give away your position as they’ll only visible to you and are there for the purpose of adding extra realism. 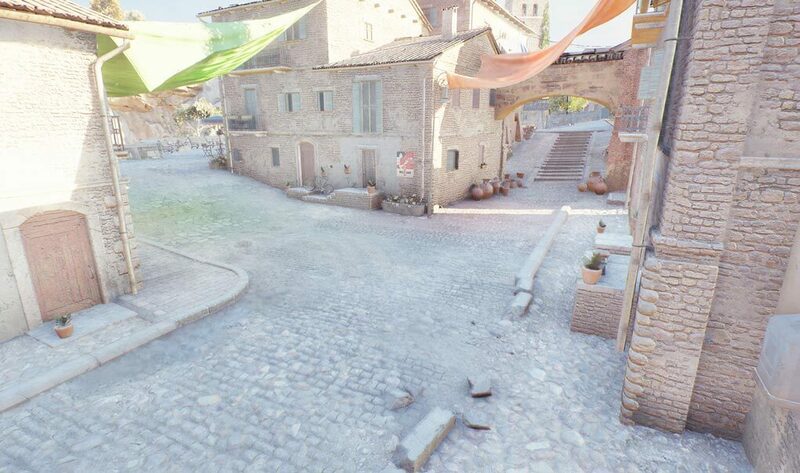 New elements, effects, and graphical improvements won’t change core gameplay on the 12 maps being tested, but seeing them for the first time might leave you confused for a second. Luckily, these are exactly the things we’re going to dive into today, in as much detail as possible, to get you battle-ready. Unlike vehicle models that we reworked for HD in batches over the last few years, applying the same approach to maps is virtually impossible. 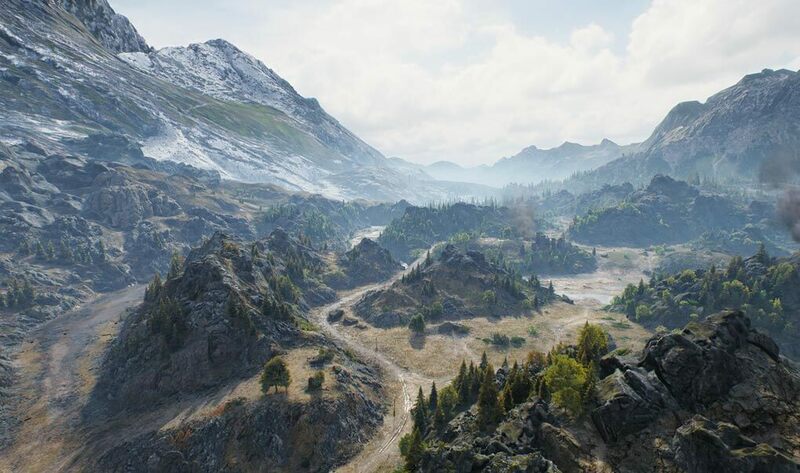 There’s more to the process than just creating realistic trees and terrain—we had to completely overhaul the underlying technological base— because enhanced visuals weren’t the only goal. This time round, we wanted to lay the groundwork for future improvements, which would let us advance graphics in tandem with technology. 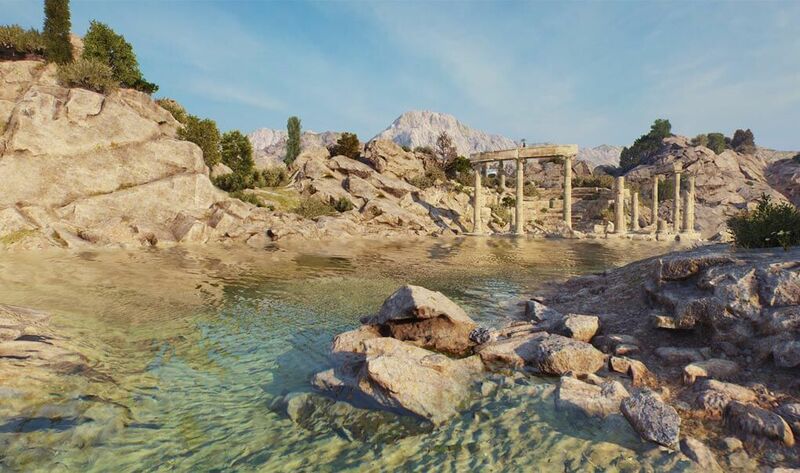 Lighting, water, terrain, flora, sky—every single element you get on a map went through a proper makeover to meet modern graphical standards. These enhancements lead to a far greater boost in image fidelity than a simple resolution increase. Space is more realistically illuminated, battlefields feel more dynamic and active, and everything looks much clearer and nicer. It’s a staggering difference from the game as you know it. 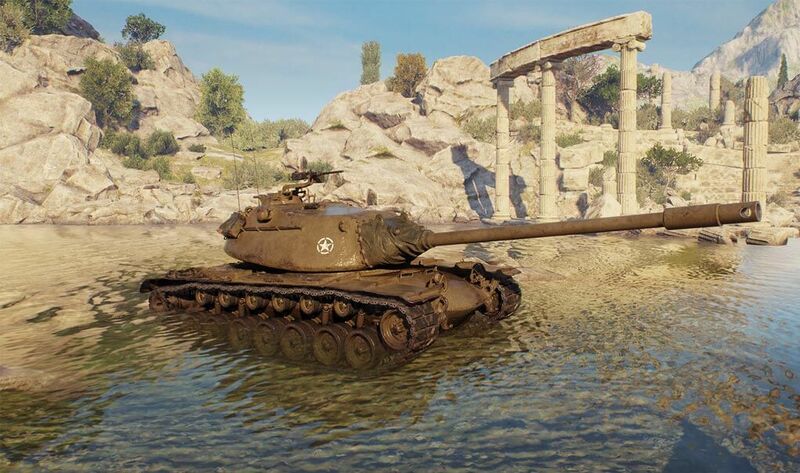 World of Tanks looks and feels differently now, but at its core remains the same game we all love so much. To deliver this level of visual fidelity, we used the latest Physically-Based Rendering technology for graphical content processing and rendering. Vast outland: Remember how scenery would morph into foggy nothingness several hundred meters beyond battlefield borders? Well, it doesn’t now. We added space by increasing the terrain to 32 km2. 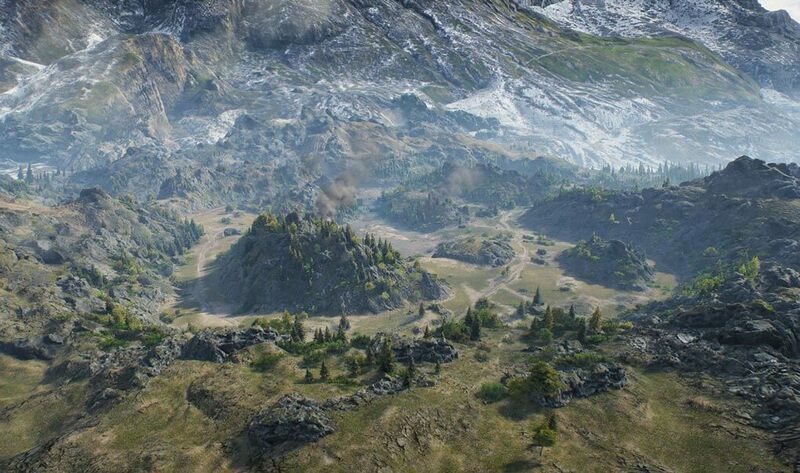 Each arena actually is a vast expanse of land now, and although it’s the same 1 km2 battlefield, you can see beyond its borders like you would in the real world. We used Outland technology to let you look into the distance and created unique terrain for every map, designing miles upon miles of outland. 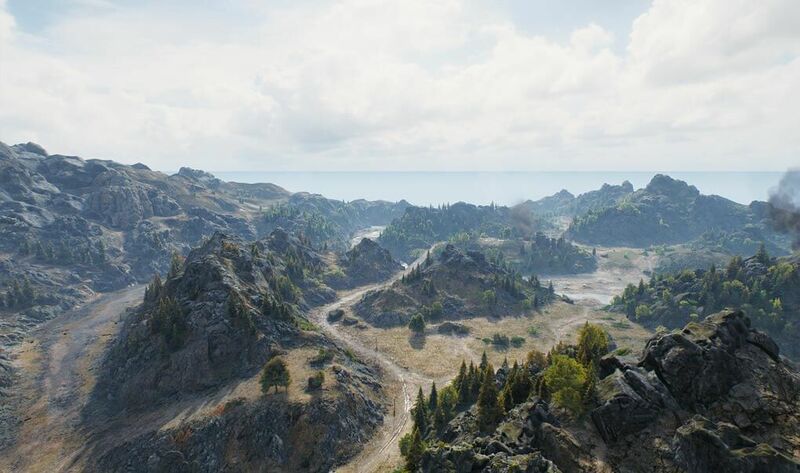 Realistic textures: The old graphic engine limited texture blending to four layers, giving the land a somewhat artificial look that fell dramatically short of real 3D. The new graphics engine lets us blend 16 textures so that terrain looks truly volumetric, detailed down to the smallest blades of grass. There’s also a special procedural virtual texture that now delivers realistic landscapes with no added pressure on performance. Terrain deformation: Let’s talk magic tricks. The one that most of you must have seen is the so-called ghost shell, when the damage the first shell caused to terrain disappears upon firing eleven times. We fixed it so you can fire as many as you want and still see where each went, and it’s now more vivid as the new effect deforms both grass and terrain. 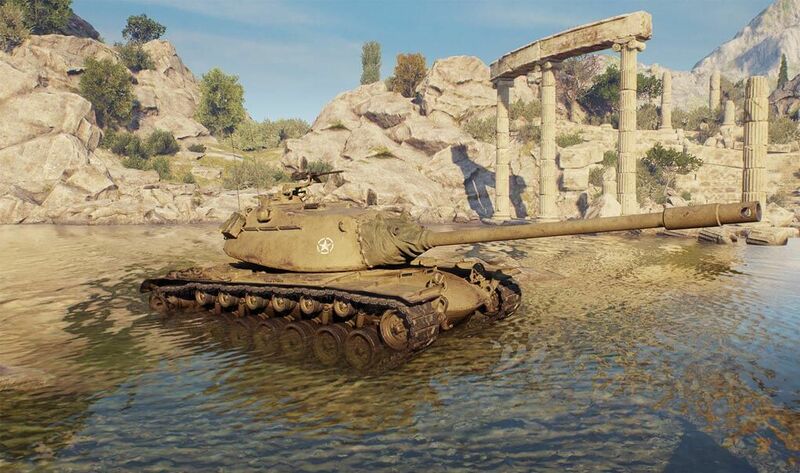 Soaking: Have you noticed how a tank would come out of water completely dry? It must have raised about as many eyebrows as disappearing shell traces. With the new graphic engine, tanks do get wet, just like any other environmental object that interacts with water. 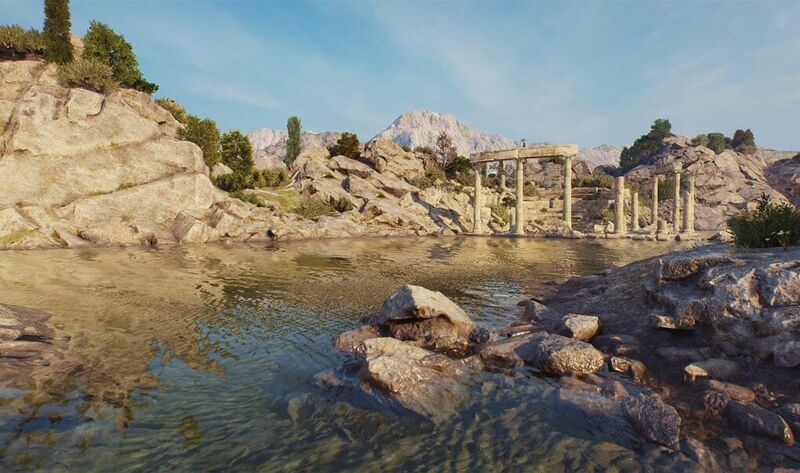 A completely reworked water rendering system delivers greater visual fidelity and support physically-based shading. Effectively, there’s volume and depth to rivers, lakes, seas, and oceans. Each of these water types looks different and naturally reacts to what is happening around it. As wind rushes along the water, you see ripples and waves. As we step up to the new graphics engine, we also visualized interaction effects between water and in-game objects, introducing deformation, sea foam, and underwater effects. 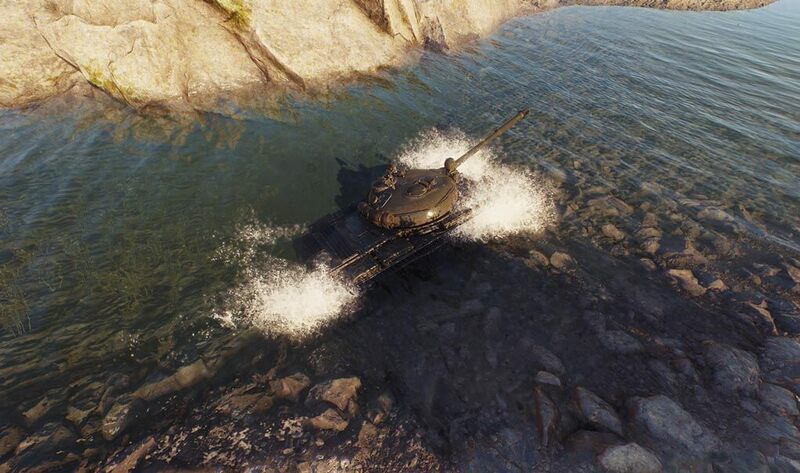 So when you’re crossing a river to close on an enemy, your tank disrupts water as it moves, while firing a shell creates circularly spreading 3D waves over its surface. The greenery you get on maps is getting a lot more diverse with over a hundred unique trees and ten variations for each ecotype recreated from the ground up. Along with adding diversity, we put extra work in to create trees that have a nice amount of volume and look realistic close up. They no longer seem as if they were made up of several flat images. Flora doesn’t just align with the overall map setting; it comes in different shapes and sizes. Painted in various colors, foliage reflects the seasons, giving you bright yellow and red for autumn arenas, lustrous dark green on summer maps, and snow sprinkles down from the branches on winter battlefields. The work on greenery didn’t end with ramping up their looks. To breathe life into the maps, we introduced special interaction effects between vehicles and flora and light transmission. To improve your immersion into a realistic world, we fully reworked all content and created photorealistic skyboxes for every map. In addition, we added moving clouds just to give arenas a bit more of a dynamic feel. A completely reworked lighting system with realistic shading/lighting models and environments introduces more accurate shadows, reflections and global illumination, enhancing the look and realism of everything you see. To ensure battlefields are illuminated realistically, we created a model that follows the natural lighting laws of physics. With it, all we have to do is choose a light source for in-game objects (e.g. daylight, sunset or, let’s say, light coming from a campfire). The technology takes care of the rest, calculating and creating lighting and shading according to the set criteria, while artists and special effects specialists, who did it back in the day, apply their skills to create other effects. Global illumination technology adds harmony to the picture, accurately simulating how light reflects and refracts between different surfaces, creating an array of indirect lighting sources. In technical terms, it computes the way that light is bounced from, or absorbed by, materials in a scene and ensures that highlights come from the same place and shadows are cast in the same direction, even across multiple objects and layers. For example, when sunlight comes through a colored translucent surface, it casts a shadow on the surfaces it reaches, transforming their color scheme. 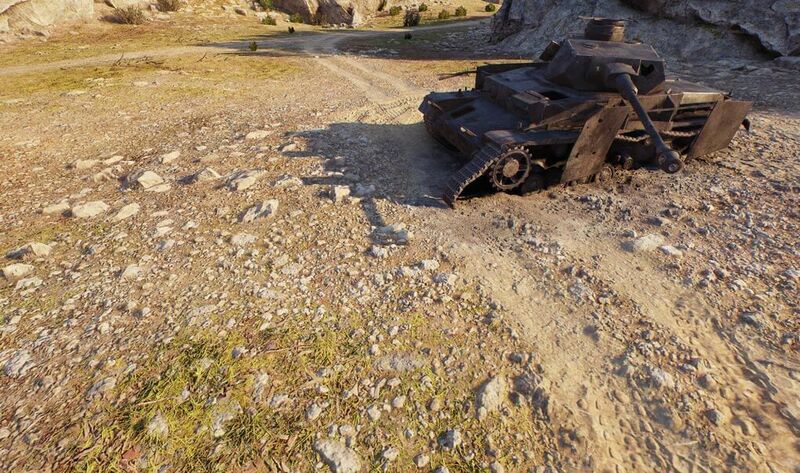 Just look at the two images below: one of them seems more realistic thanks to global illumination, with the orange canvas casting a shadow on the tank’s side armor and cobbled road. 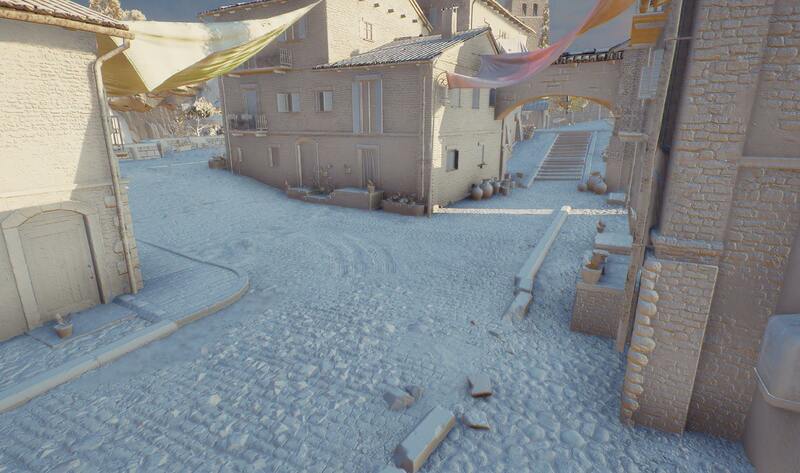 Shadowing in environments looks nicer than ever before, adding greater depth, beauty and realism to battlefields. 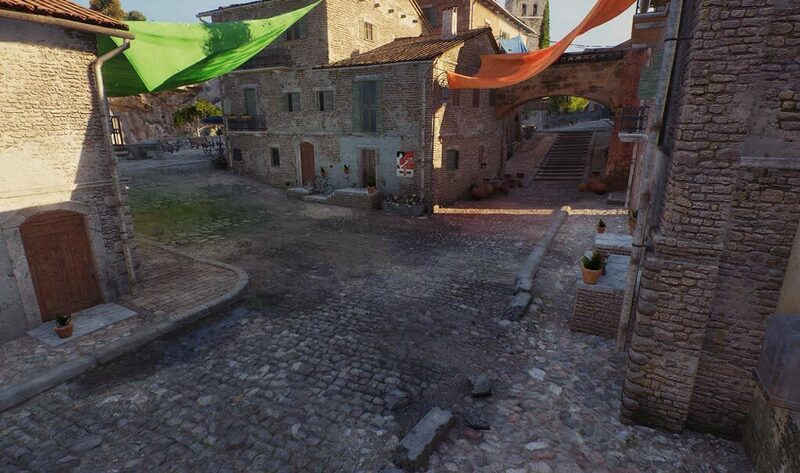 The new Adaptive Shadow Maps technology calculates shadows from static objects (houses, stones, trees, etc.) and saves them in a special reusable shadow texture, reducing the load on the graphics card and processor. 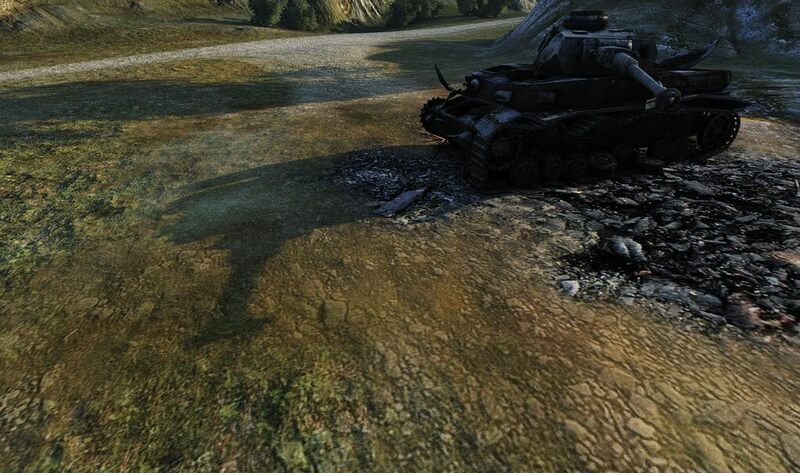 As for dynamic objects like tanks or falling trees, they receive improved dynamic shadows. Most visibly, particle effects interact with shadows in the new graphics engine. Fumes, dust, and smoke now receive and cast semi-transparent shadows. For example, when a tank is moving in the shadow cast by a mountain, the dust from its tracks doesn’t glow unnaturally (as it used to). 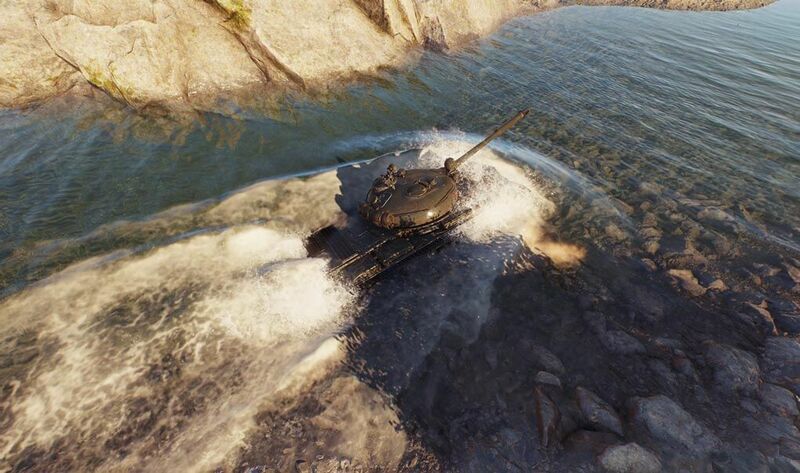 Instead, it takes the mountain’s shadow and is lit with consistency, in harmony with the tank and nearby objects. Lastly, material shadow effects are there to accurately reproduce the depth of various materials. The reworked maps get long-awaited Havok® Destruction technology. Its introduction begins with smaller destructible props like stone hedges, wooden poles, barrels, and brick. NOTE: We’re far from done fine-tuning destruction, but decided to show it to you regardless, to collect your feedback. That’s why you might run into some odd-looking bugs. For example, pieces of wood and other small destructible objects sometimes become stuck in a vehicle upon destroying them. It’s a rather common issue for games that use Havok® Destruction, and the dev team is working to get rid of it. If you come across any other bugs, go ahead and report them on the Sandbox forum. As we move to the new graphics engine, we introduce a variety of new and improved post-processing effects. Bloom, god rays, chromatic aberration, and screen space reflection all help improve image quality and clarity of detail to ultimately deliver sleek modern visuals. Graphical advances naturally up the pressure on your graphics card. We worked a lot on performance optimization, reducing the overall memory footprint of graphics, using streaming technology to rework graphical sub-systems from the ground up. Now, all graphics elements that don’t change frame-to-frame don’t get rendered and are reproduced from the cache. Along with caching, we optimized graphic elements to reduce the memory load even further and give you the headroom to enable extra effects. Following a great deal of internal playtesting that showed no drop in FPS on older rigs, we’re now readying to release 12 reimagined maps in Sandbox to gather game data, feedback, and smooth out performance going forward. 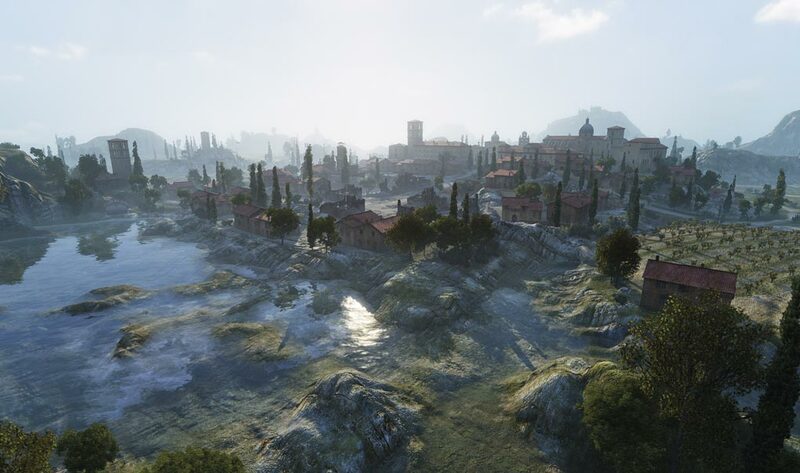 Maps now look completely different with enhanced graphics, and you might not recognize an arena as you once knew it. It’s a lot to take in, so please be patient. Let it sink in before you rush to share your first impressions and keep in mind that none of this is final. If you think any of the improvements are heading in the wrong direction, or believe we should be looking at something that isn’t on this list, please let us know. With so many changes, it’s difficult to predict all the outcomes, but with your help and feedback, we believe we can continue to head in the right direction.